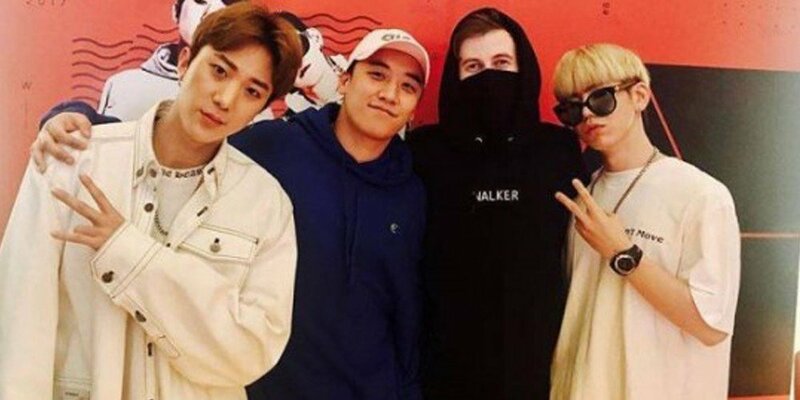 Big Bang's Seungri x worldwide EDM DJ Alan Walker x Norwegian pop star Julie Bergan x producer K-391 is coming your way this week. The collaboration was brought on under EDM label Liquid State - a label formed jointly by Sony Music and Tencent to focus on EDM's growth in Asia. Liquid State's first EDM collaboration track features the 4 worldwide artists mentioned above, who will be working together on a song titled "Ignite". Check out a preview for Seungri x Alan Walker x Julie Bergan x K-391 below, shared on Seungri's Instagram recently, while you wait for the song to drop on Friday, May 11 at 12PM KST.